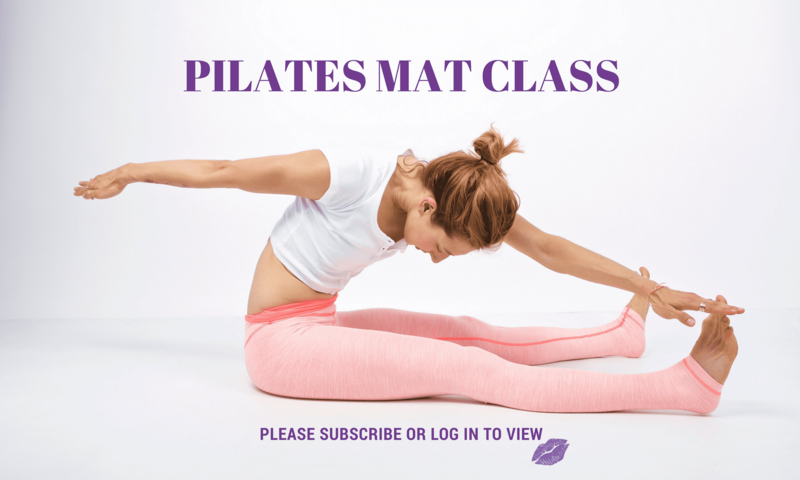 Thanks for your interest in taking Lesley Logan's weekly online mat class! REGISTER NOW so you can simply log in at the start of class time, which is listed below. Cost of class each week: $5.00 USD. If you have already signed up for class, you will be automatically billed and class will become available to you without the need for you to re-register - don't forget to log in to watch the class! You can cancel at any time. START DATE & TIME: Tuesday, June 19, 2018 2:00pm PST (check your timezone). If 7 days from class start time has passed, you can find the next available class here. DESCRIPTION: So, how much do you love the Tree on the Reformer? Ok, maybe it’s just me! But, I happen to know a few people who love the Tree and all it does in Pilates. And, you’re probably wondering why I am even talking about the Tree here in my online mat classes. Well, last week I was quite inspired by the Tree after one of my Skype clients found her inner acrobat. And, afterward, a whole discussion on Instagram happened about all the amazing gifts the Tree gives us. And, while, yes it happens on the Reformer or the Ladder Barrel mostly I decided to bring the Tree to our Mat practice this week. PS: if you only love Pilates and never do any other workouts this will still rock your Pilates body. So, you don’t have to be a runner, cyclist or gym rat to enjoy! LENGTH: All mat classes are 30 minutes long. LEVEL: They are all levels but this one will feel like an intermediate flow. EQUIPMENT NEEDED: Just your awesome self and a mat. QUESTIONS? If you have any questions feel free to contact Lesley here. Otherwise, see you in class! Prefer a private option? Lesley offers Skype and Facetime sessions. You can book yours right into Lesley’s schedule here. be at momentum fest. Just did this in the hotel room, look forward to meeting you this weekend.